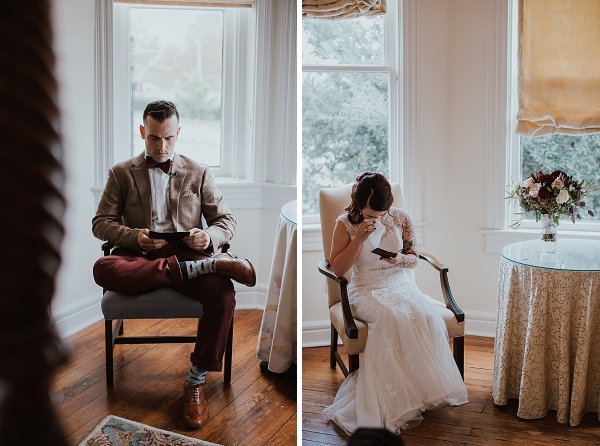 Kelsey and Patrick are that rare story of a Tinder match gone right. 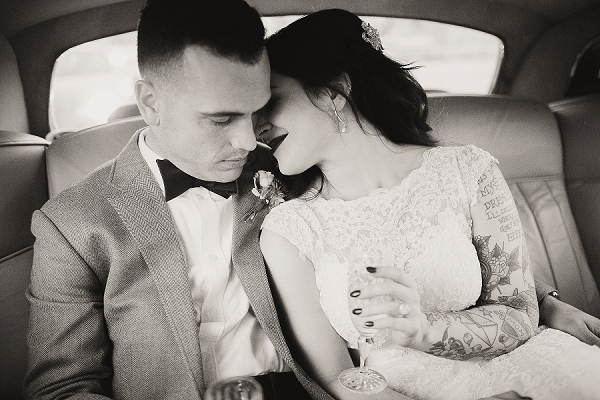 They started out as pen pals writing letters to each other before Kelsey finally joined her military sweetie, Patrick, on the West Coast. 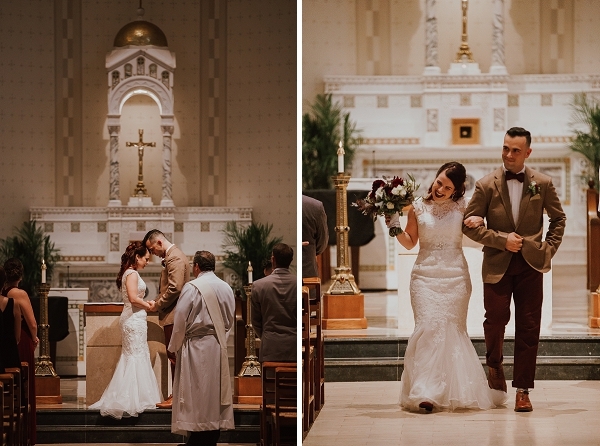 Virginia always held a special place in their hearts because it is where Kelsey is from and where Patrick asked her to marry him so when it came time to plan their wedding, Norfolk, Virginia it was! 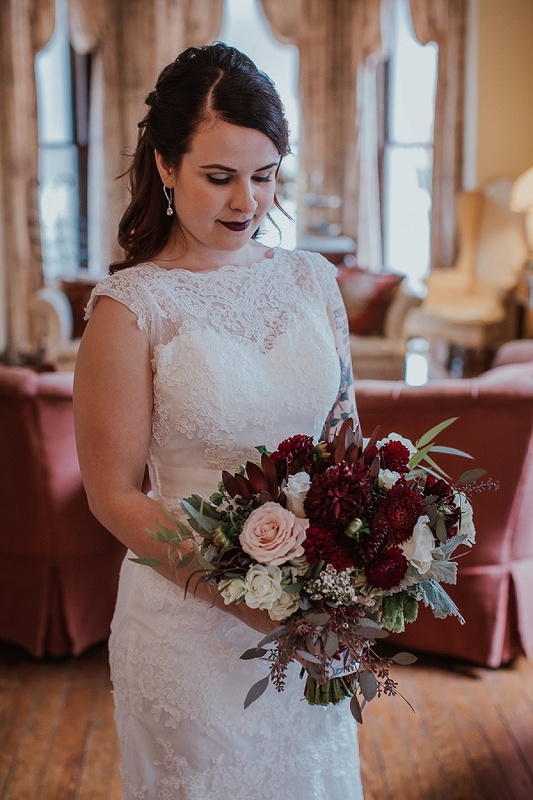 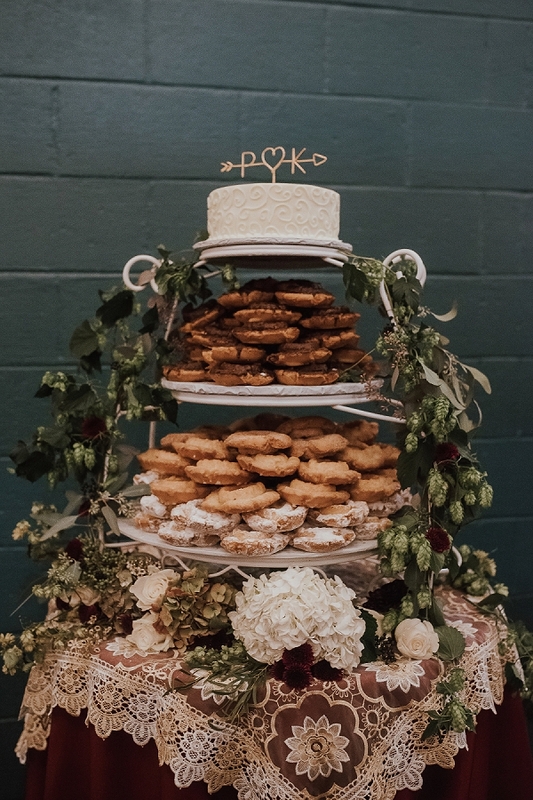 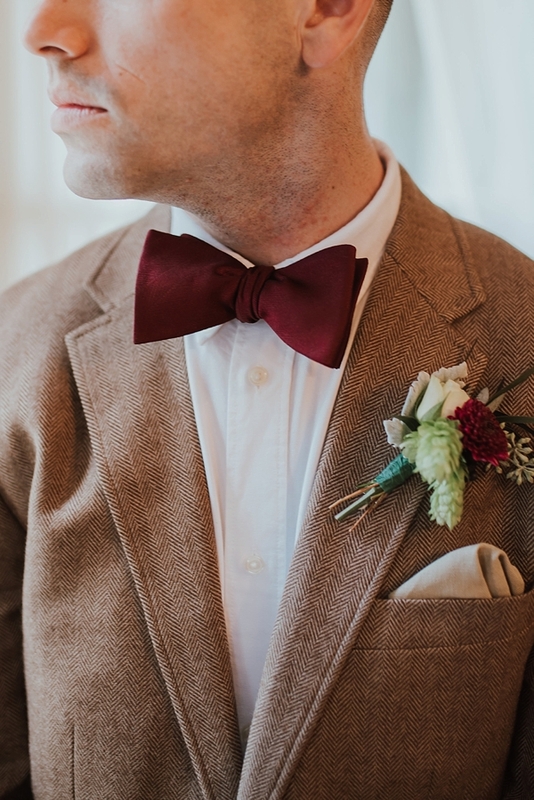 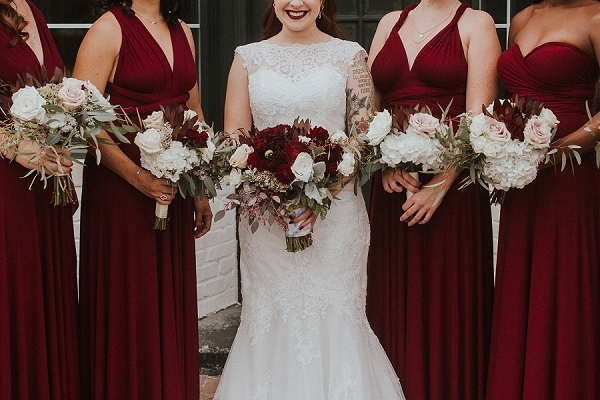 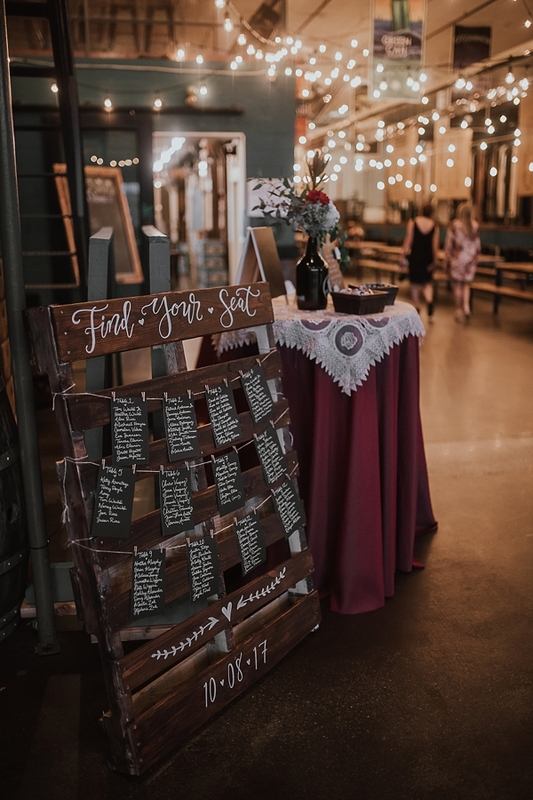 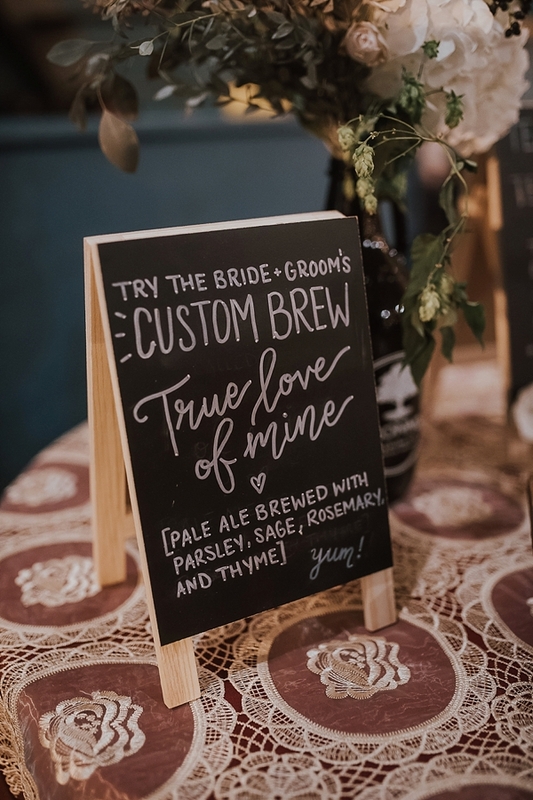 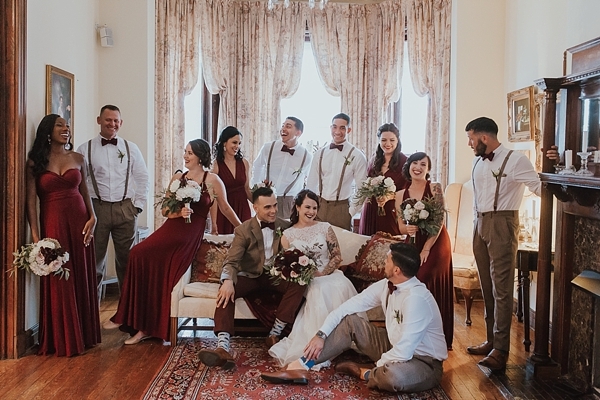 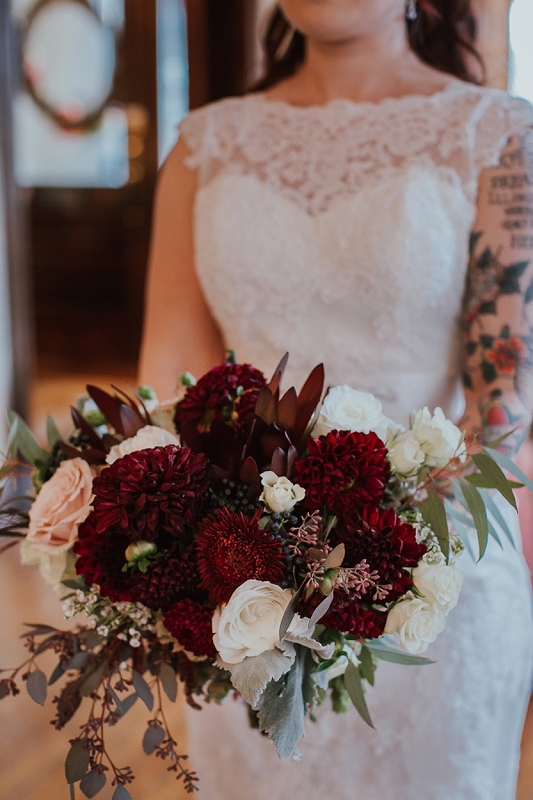 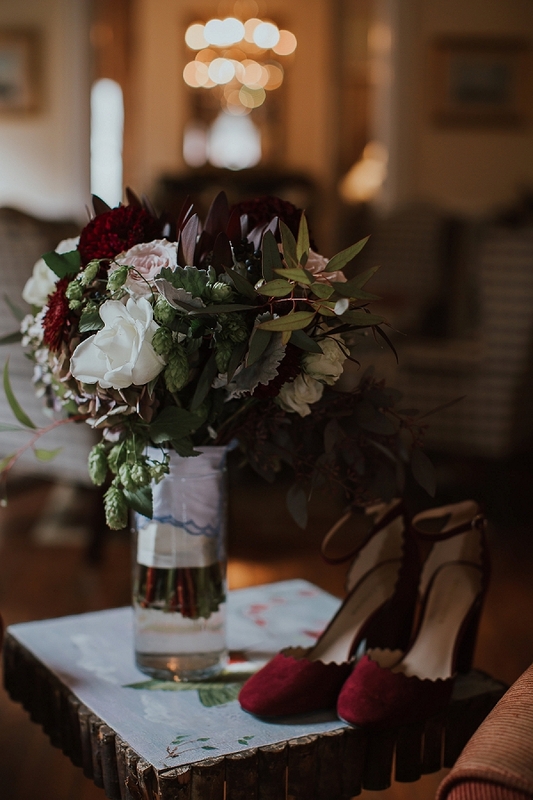 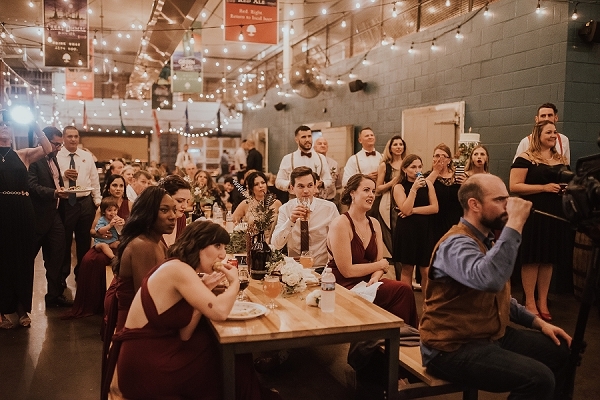 They both share a love of vintage things, tradition, and craft beer, so they wove those inspirations into the entire burgundy red wedding captured by Mirage and Light Photography. 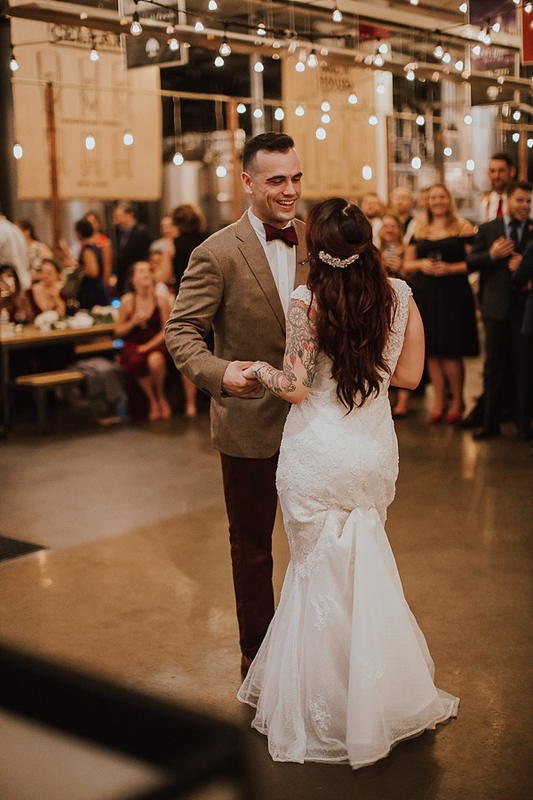 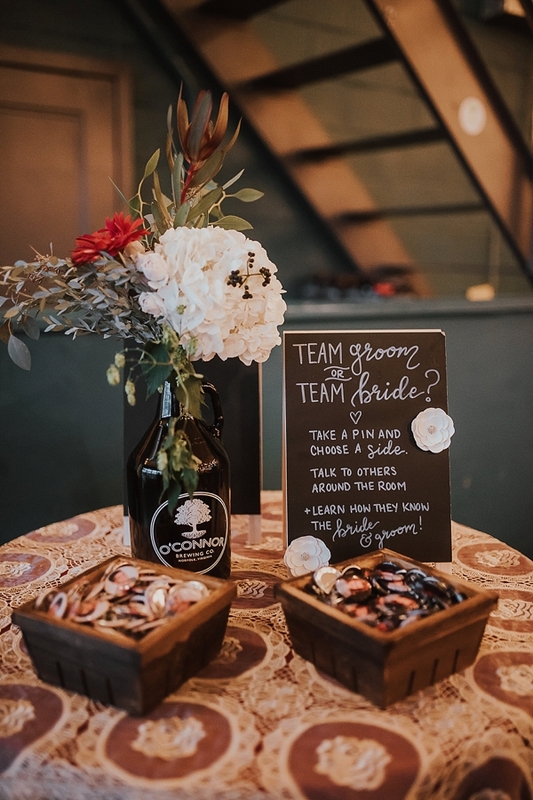 From getting ready at an historic B&B, to the traditional Catholic ceremony, to the casual reception at O'Connor Brewing Company that made everyone feel like family, Kelsey and Patrick wanted their day to not only look gorgeous but to be a really great time for all their loved ones. 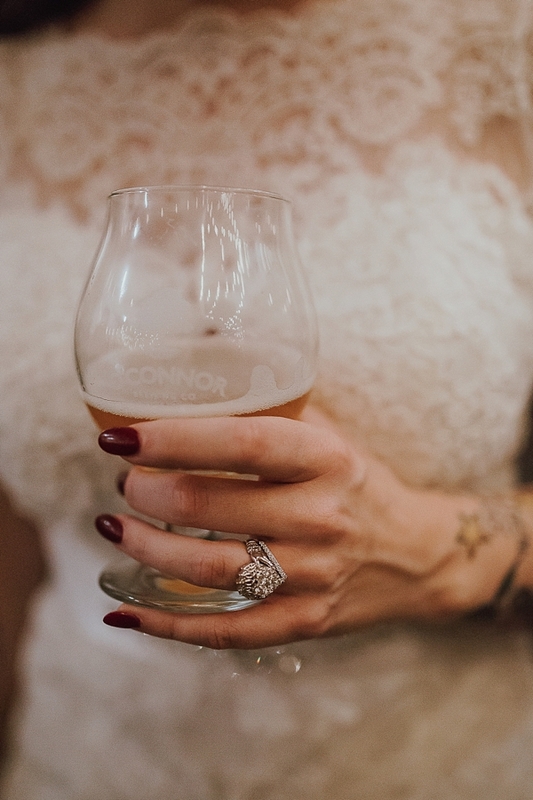 Heartfelt details also made their way into Kelsey and Patrick's celebration: an engagement ring featuring her Mom's diamonds, sweet handwritten letters read before the ceremony, fun bride and groom childhood photo pins at the reception that let guests "choose sides," and even a custom wedding brew to celebrate the union of these two lives.